As any other thing in this world, SEO is about understanding your problems, accepting them and starting to fix them. That’s why, there is no way to achieve great results without starting with a solid base at first, a comprehensive analysis which leads to specific optimization recommendations structured in a report called SEO Audit. The SEO recommendations are based on a broad analysis of your website look and feel on a first interaction, how well optimized code-wise it is and how it performes in the organic search engine results. Conducting a SEO audit will help you understand your current status, your competitors and the industry itself and so you will be able to have a long term strategy with specific KPIs. A strategy that will help you grow your traffic numbers in terms of organic visits and use your website to its full potential. When building a website, most people would think that the first thing they have to take into consideration is the design of that website. They’re not 100% wrong, but if you think about it for another 2 or 3 seconds, you will soon realise that there’s no point in having the best and most creative website in terms of design if people can’t find it anywhere. Most probably, there are tons of other websites out there, offering similar products and also being visually attractive. And so, the biggest question of all comes in everyone’s mind: why isn’t my website attracting traffic? The solution is to start, right away, the process of optimizing your website for the search engines. People might not know you, but they might be searching for a product similar to what you’re offering. So, what’s better than being the first result when someone searches for a product you have? Statistically speaking, being on the first position in search engine results, you have the potential to bring around 35% of the people searching for that term on your website, all that without spending a single nickel on paid ads. Sounds perfect, right? But how to get from zero to hero in terms of SEO? From this point on, we’re gonna presume that you already have a website and you need to make it great in the eyes of Google, Bing, Yahoo or any other online marketer’s nightmare out there, but this guide applies equally to those of you who are considering creating a new website from scratch. How to start the process of search engine optimization for your website? In order to repair something you have to understand the problem first. So, you will need to conduct a thorough analysis of your website, without missing any detail. This analysis is also known as an SEO audit, the process in which you discover the SEO-related problems of your website and create a strategy to repair and optimize those problems. An SEO audit is the first and most important part of any digital marketing strategy. Doing this, you will be able to get a better glimpse not only of your own website, but also of your competitors, and so, you’ll understand better the industry. You might say: I know the industry pretty well and I know all my competitors. Well, this is the part that most people get wrong, the fact that online the situation might be slightly different to what you may encounter out there, in your daily entrepreneurial activities. For example, let’s say that you sell running shoes and you have a store somewhere in your town. You know that another store located in your town is doing really good on sales. So, you’ll be inclined to think that specific store is your main competitor. But, going online, you may find that there is a business that sells the same products online and it’s way more successful than both your store and the other one combined. That’s why, you have to be aware that going online, there is a high probability that you will encounter some new competition, maybe some that you’ve never even heard about until then, but with a strong online presence. What’s the best way of performing an SEO audit? Well, as any other question that starts with what’s the best way to [insert_anything_here], this one has no perfect answer. Nobody could tell you how to do a perfect SEO audit, because there isn’t a standard procedure, agreed and followed by every SEO professional out there. However, there’s no reason to panic. Even if there’s no way to do a perfect SEO audit, you can still do a pretty great job and come up with great insights about the things that you have to improve on your website. Also, there is always the option of hiring a professional SEO agency, that will do this job for you and provide you with a detailed list of what needs to be optimized and how to do that specifically. 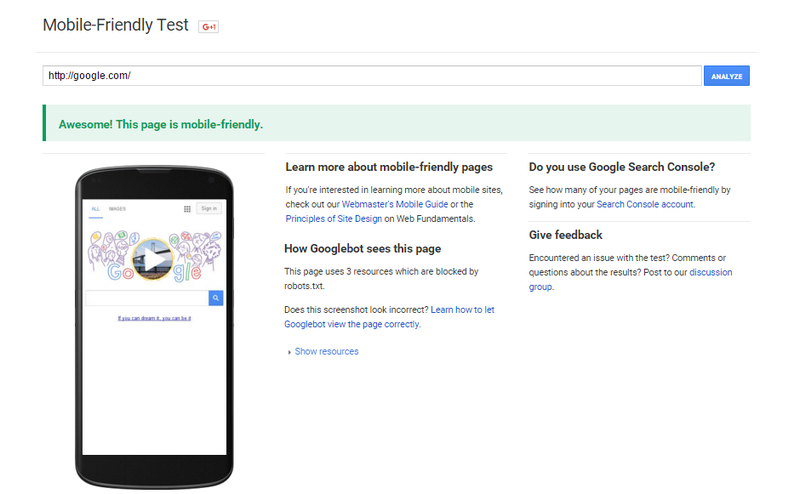 What should be the structure of an SEO audit? Again, you may spend two and a half lifetimes searching for a whitepaper with the perfect SEO audit structure and it will be indeed a waste of two and a half long and beautiful lifetimes. It really depends on the size of your website, the number of issues you encounter, the tools you use to measure the data and a long list of other factors. So, you’ll have to find your own way of structuring your analysis, the way that will be the easiest for you (or your client) to understand. The only advice I can give is that an SEO audit should include everything. Yes, that’s right, every issue or opportunity that you find through your analysis is worth including in your audit. You will find below a checklist with the most important topics you should consider in your analysis. Don’t get stuck in the details though, as your audit should be easy to follow, evenfor someone who is not familiar with the subject. If you think you can do search engine optimization without using any tools, you should really reconsider your approach. There are a lot of both free and paid tools that can make your life a lot easier and provide you with strong insights and analytics, data that you wouldn’t be able to gather manually. So, before everything else, you should make a list of tools that you need to perform your analysis at first, and afterwards to measure and track the results. Even though there are some things that make every SEO professional really angry with Google Analytics, such as the not provided keywords data, this tools remains a must have for everyone who has a website and wants to gather some data about the users’ behaviour, campaign performance and a lot of other things. You just have to create a Google Analytics account, take a code snippet from there, put it on every page of your website and let Google do the magic. 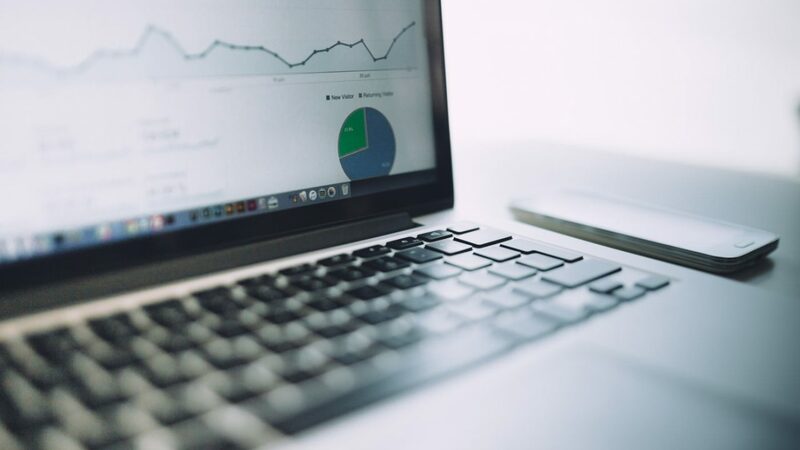 If you already tried Google Analytics and didn’t find anything great about it, first you should try it again until you find some interesting and useful stuff, and after that, you may want to consider some Google Analytics alternatives. This one is something that you don’t want to miss. 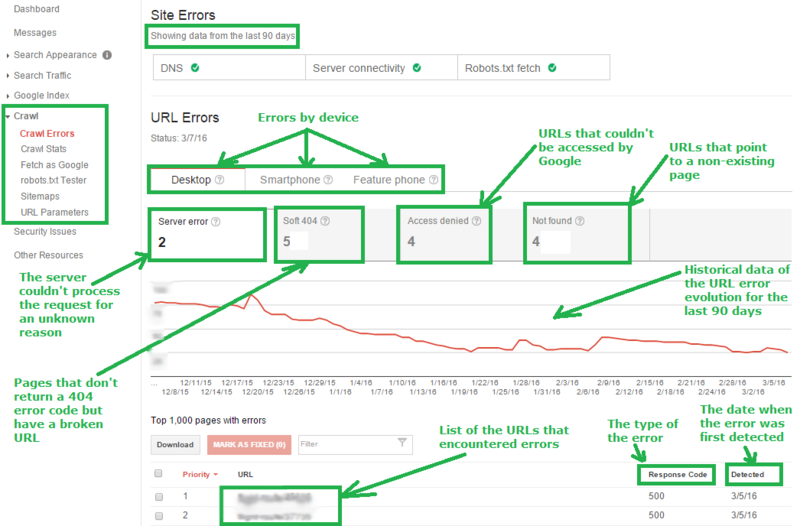 Google’s Search Console is a tool that can provide you with a lot of data about your website, from identifying crawling errors, the total number of indexed pages to the search queries your website ranks for and a lot of more useful information. Keyword data – the Search Analytics tab can provide you with more information about the queries that led people to your website, the number of impressions and clicks for each query and the average position your website was displayed in the organic results for that specific query, so the nightmare of the non-provided keyword data in analytics suddenly disappears (even though the data displayed in Search Console is not 100% accurate, it can still be really useful). Broken URLs – an important thing for any website is to provide users with useful content. So, if a user arrives on a page that doesn’t exist or can’t be viewed, he will leave that page and search for another website. With this feature, Webmaster Tools is very helpful in identifying the errors on your site regarding the URLs and the pages of the website. The first two tools above are used mostly for on-page analysis, but we also have to analyse the off-page factors that can influence a website’s performance in the organic results. When it comes to off-page SEO analysis, Majestic is a great tool to use to monitor the backlinks profile, the authority of a website and to compare it with its main competitors. Among the features of Majestic, one of the most important is the Site Explorer, which provides a lot of information regarding backlinks and referring domains, either you look at the historic index (all-time backlinks and domains) or the fresh index (data for the last 30 days). Also, you can run this analysis at the domain, subdomain or page level. So, if you want to find even the smallest details of your website, the Screaming Frog Spider will do the job for you and allow you to first identify and then come up with a plan to fix all the technical issues of your website. If you will get to the conclusion that Screaming Frog is not the thing you’re looking for, you can try Xenu’s Link Sleuth, a Screaming Frog alternative which is free of charge, but may prove to be more difficult to use and has no version for Mac for Linux. SEO audit checklist – what should you look at? Google’s algorithms are getting more advanced day by day, so nowadays search engine optimization is a lot more than putting some keywords in your page body or meta-tags. That is why, when conducting an SEO audit, it’s important to analyse the website from various perspectives and include in the audit factors like user experience, the level of the competitivity in your industry, social media presence, on-page and off-page analysis. First of all, when you have to perform an SEO audit, it is important to start the analysis like a simple user, not going directly to the tech side of the problem. So, the first part of your analysis should contain a brief summary about the general experience a user might have browsing that website on it’s first impression, looking at loading speed, ease of navigation or time needed to get to a certain point (page) in the website. After writing down this first impression, it’s time to get to the bottom of the problem, meaning that you should put to use your full arsenal of tools and look at every detail of the website. The first thing to do should be to perform a keyword research, in which you need to identify all the queries that users might use when searching for products or services similar to what you’re offering. From this analysis, you should extract a short-list of the keywords that are the most relevant to your website and that are used a lot in searches (have high search volumes). Doing so, you will be able to build your optimization strategy around this main phrases, using them both in your on-page and off-page optimization strategy. For this research, you can use Google’s Keyword Planner, or, if you’re looking for alternatives, you can use either KeywordTool or UberSuggest, both being free to use. Content – it’s important to have content that contains these keywords, but at the same time, it’s really important to create unique, information-rich and user-focused content. Keyword stuffing is not an option anymore, that’s why you have to insert your keywords (and other variations like synonyms) in a natural way, focusing on longtail keywords. Headings – the headings describe what your page is about, so you should include those keywords here, keeping only one H1 per page and multiple H2, H3 etc. Meta-tags (Title, Meta Description) – these tags are important both for search engines and users, being the first impression a user might have to your website. The meta tags should be unique for each page, have a length that fits in the search engine results pattern and be used like a call to action. URLs – first, the URLs should be user friendly (without special characters) and then, you should consider including in the URL the most relevant keyword that describes that page most accurate. Link anchors – both external and internal links to your pages should use as an anchor text a relevant keyword that describes your website/page. Since semantics are getting more and more important, you should consider gathering links on long-tail keywords. 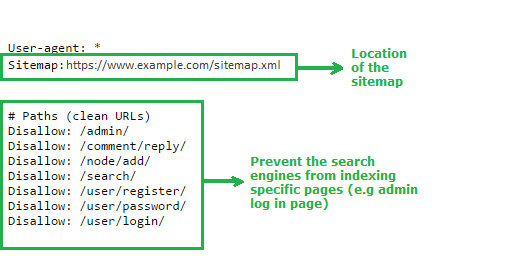 Sitemap – your website should have an XML sitemap (or more, if you have a lot of pages) which needs to be submitted in the Search Console (Webmaster Tools) in order to be discovered and indexed by Google. Robots.txt – you can use this file to prevent the search engines from indexing pages that should be private on your site. Also, the robots.txt file should include the address of the site’s sitemap. 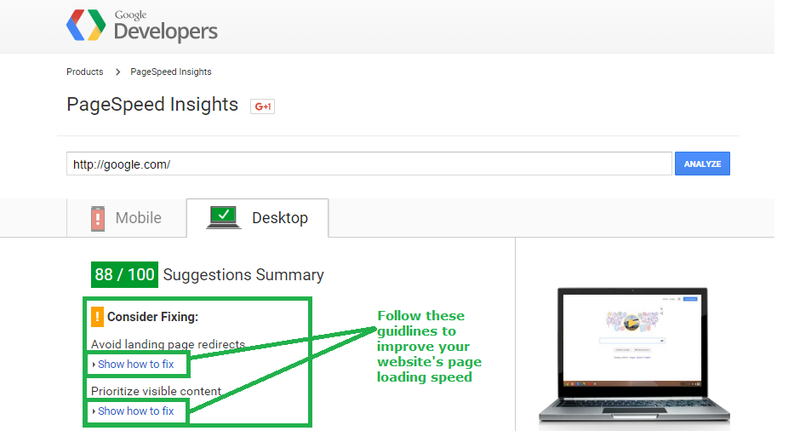 Page Speed – it is well known that the page loading speed is a ranking factor, but it is also a factor that can influence the overall user experience on your website so you should first check your website’s loading speed and then start optimizing your site in order to have a better speed. Structured Data Markup – using structure data allows you to give search engines all sort of information about your website, and this can lead to higher performances, especially to your organic CTR (clickthrough rate). Social Media Buttons – Social Media activity is also an important ranking factor, so, presuming that you are already active in Social Media, you have to make it easy for users to engage with your content by placing Social Media buttons on your webpages. All these factors detailed above are known as On Page SEO factors. These factors can be controlled by you, meaning that you can work on them in order to improve your site’s rankings. But, besides those factors, there is another important one that you need to deal with if you want to achieve greatness in the land of search engines. Of course, I’m talking about the Off Page SEO factors, and they are as important to your strategy as the previous ones. When analysing your off-page performance, there are some things that you should look into so that you will be able to come up with some insights that will help you build your future strategy. First of all, you should check your backlink history, meaning that you have to identify where your backlinks come from and how good they are for your website. Remember that there may be some backlinks that do more damage than help your site, so this is a good way to clean up you backlinks pool and keep only the ones that matter. The most important backlinks and the ones that have a positive influence on your site are the ones coming from websites with a high authority. There are lots of tools from which you can get this data, and you should use them to try to gain more links from similar websites. As it is important to have lots of valuable backlinks, it is equally important that they come from various domains. So, you should keep your link/domain rate low and have a high diversity in your backlink profile. As mentioned before, it’s really important that the links pointing to your website are placed on relevant phrases, that best describe your website’s profile. The most important thing you should consider when building an Off Page SEO strategy is that your links should be acquired as naturally as possible. Google’s Penguin Update, launched back in 2012 has the sole purpose of discovering bad linkbuilding habits, like spamming blogs and forums with links to your website, buying links or subscribing to low-quality web directories. If Google finds out that the links your site is getting are not valuable and trustworthy, you might have serious problems and disappear, for a while (or maybe forever), from the organic search results. your competitors are ranking for the same queries. Doing this, you will get an idea of how far or close you are to getting where you want. By checking your actual status, you will be also able to set specific goals for your strategy (e.g I want to rank Top 3 for these 3 queries: query 1, query 2, query 3) and measure in real time the impact of the changes you are doing to your website. This analysis will also provide you with insights about the size of the market, the most important players and their strong and weak points. After reviewing all the data you’ve gathered, you will need to organize it in some way, and come up with a practical implementation plan. One of the most important things to keep in mind when building an action plan is that you will have to prioritize your actions, make sure you have the resources to implement them and set a deadline for each one of them. Doing it this way, you will be able to organize your work better and measure the results more accurate. If you need help with any of the above topics you can always contact us.